Earthquake Prediction: 5.6R in Uttaranchal, India! A 5.6R earthquake was reported in the region of Uttaranchal, India, 32 km from Pipalkoti. No further news of damages. 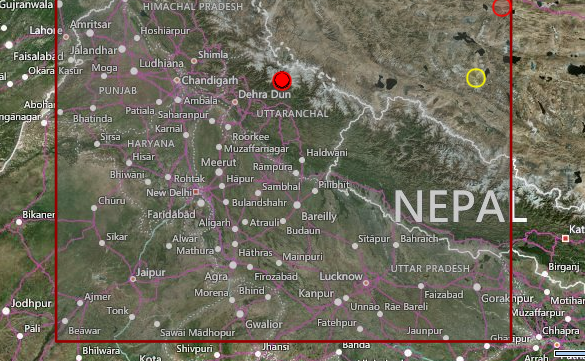 The earthquake epicenter was 10km deep.The earthquake hit Uttarakhand on Monday night. Big tremors were felt in national capital Delhi and neighbouring Gurgaon, Punjab and other parts of north India. The earthquake struck at 10.33 pm and had its epicenter in Ukimath in Rudraprayag district of the hill state, where assembly elections are scheduled to be held next week. Scientists said the quake was shallow, with a depth of just 7 km.